George M. Cohan, the famous songwriter once known as “The Man Who Owns Broadway,” is the subject of this musical biopic, and no better symbol for Americana exists. Cohan was in fact born on the 4th of July, and composed such flag rallying cries as “Over There,” “Give My Regards to Broadway,” “The Yankee Doodle Boy,” and “You’re a Grand Old Flag.” The music is so engrained in our consciousness you’ll probably be surprised to find out how many of the songs you know, and to discover that they were in fact sprung from the same lyrical mind. James Cagney won his only Oscar for this role, and funnily enough for the legendary gangster he was, this may just be his best movie. The film is a joyous uplift, chronicling the life of the Congressional Medal-winning song and dance man as he performs on Vaudeville with his family as a boy, falls in love with his wife Mary as a young man (in another tune you’re bound to recognize), and eventually becomes one of the Tin Pan Alley songwriters, penning the aforementioned classics. Cagney is incredible in this part, where he showed just how musically inclined he could be- he had a great voice and surprisingly flashy dance moves, proving his worth as one of the most talented and versatile actors of his time. The love story is moving as well, the first time Cagney got to play a romantic lead, with Mary played by Joan Leslie. Released in 1942, it was arguably the most rah-rah wartime propaganda film of the year (which saw quite a few others as we'll see), but it’s corn that still works, and you’re bound to come away humming the tunes and cheering the flag. An excellent pick for the 4th of July. Rocky Balboa represents the heart of the American fighting spirit. A scrappy local fighter from Philly, he’s picked to go up against the heavyweight champion of the world, the brash and arrogant Apollo Creed. A huge underdog, the televised bout is set for the 4th of July, in the first capital of our nation and Rocky stands virtually no chance. But it’s alright, because he really doesn’t want to win anyway, he just doesn’t want to get knocked out. All he wants is to go the distance, but ultimately he ends up winning much more than that. He wins the hearts and souls of the crowd, his girl, and the audience in the theater, who kept coming back for more. This movie spawned 5 sequels, as Rocky Balboa wormed his way into the soul of the American consciousness, forever associated with the underdog’s little brain but big heart and bigger spirit. And the first movie is still a great one, an enormously uplifting and emotional film that swept the Oscars, even as it was up against some of the best films of the 70’s (All the President’s Men, Network, and Taxi Driver if you can believe it). Sylvester Stallone became a huge star, managing to get the movie made by writing and starring in it himself, even as a nobody. The making of it mirrored the onscreen story, simple as it was, and the payoff was huge. A worldwide smash hit and an Oscar winning film was the result of his efforts. You’ll never forget the score, the final fight, the start of those endless 80’s training montages, the incredibly sweet and tender romance and the ending which was unheard of at the time: the hero actually loses the big fight (gasp) but wins a moral victory instead. It turned the sports movie on its head, but nowadays that ending is just as big a movie cliche. Forget the sequels. The first is still the best, the undisputed classic. Why? Because our hearts will always want Rocky or somebody like him. It’s just the American way. Maybe a bit of a surprise choice if you’ve never seen it, but trust me, you’re in for a delight. A sweet, smart and funny romantic comedy set in the nation’s capital, and the somewhat inspirational story of one woman’s journey to discover her inner worth, through the enlightenment of education. Judy Holliday is that woman, in a terrific breakthrough performance that is at turns hilarious, charming, sincere, and sassy (she won a Best Actress Oscar for it). She plays a ganster’s moll who comes to D.C. with boyfriend Broderick Crawford. He’s set to pull off a shady deal with a bought congressman and using her as the oblivious go between for his various illegal transactions. But while there her dimwittedness bothers him in the company of the Washington elites, so he hires reporter William Holden to smarten her up. Of course, they fall in love while touring the gorgeous monuments of the city, but that’s really a side story. The whole movie is Judy Holliday’s and her transition from clueless good time gal to newly patriotic, enlightened but still sassy charmer who develops the guts to stand up to the brute who’s been subjugating her sense of self. She wisecracks all the way through it, even when she’s reciting constitutional platitudes and the principles of the Founding Fathers, and you’re rooting for her every step. We root for her because from the beginning we know that she’s not really dumb- she cheerfully admits that she knows nothing and likes it that way, because she stays happy. She just has to develop the self esteem that tells her she deserves more than what she’s got. The sights, sounds, and history of our nation’s capital serve as the tools to embody her with the pride and confidence she needs for her ultimate triumph- and what’s more inspiring than the idea of a country so powerful it can actually save you, and not just the other way around? As far as end of the world, big budget disaster movies go, this is one of the better ones. And by that I mean it's fun, action packed, silly, but all things considered, a pretty good ride at the end of the day. It’s a fine line between this and just stupid, like The Day After Tomorrow or the dozens of other disaster movies that followed this one soon after, like Volcano, Twister, Deep Impact and Armageddon. But I enjoy this one, call it a guilty pleasure if you must, but do you get a big kick out of the race to stop the end of the world. Two days before the 4th of July there’s a signal detected from outer space, and soon gigantic alien spaceships are hovering over every major world city, about to strike. It’s an old fashioned fight to take on the alien invaders who want to eliminate the human race, and the cast is game. This was the one that turned Will Smith into a movie star, he’s the cocky pilot who gets all the best lines, and other key roles are filled out by Jeff Goldblum as the cable guy scientist and the only one who knows out how to defeat the bad guys (of course), Bill Pullman in the obligatory role as “The President,” and Randy Quaid as the crazy Vietnam vet who gets his revenge. The special effects were state of the art for the time and actually hold up pretty well, as all the epic destruction lives up to its promise. We get shots of New York being annihilated, along with D.C. and Los Angeles, and all of the big monuments get blown to bits. Millions flee, destruction is wrought, and then the humans get to fight back, conveniently on Independence Day. This is a save the world flick that takes itself just seriously enough to keep you involved in it the whole way through. It was a huge hit in ‘95, accounting for the immediate imitators and all around disaster craze of the mid to late 90’s (which was ultimately crushed by 9/11, only to be resurrected years later). If you’re into disaster flicks, I’d say this is one of the best ones at your disposal. One of the great celebrations of American ideals and values. Many will tell you this is Frank Capra’s best movie, but I would say second best (after It’s a Wonderful Life). Still, my preference for that later classic makes this one no less great in its own right. Politics is known for its corruption, bribery, and scandal, practically the qualities that define the very word. But Jefferson Smith is a genuinely goodhearted citizen from a state that shall remain nameless, but one you can safely assume exists in the American heartland. Appointed junior senator when the current one dies, he goes to Washington with wide eyes and big dreams, under the wing of the senior senator who’s firmly in the pocket of the big money grafters. 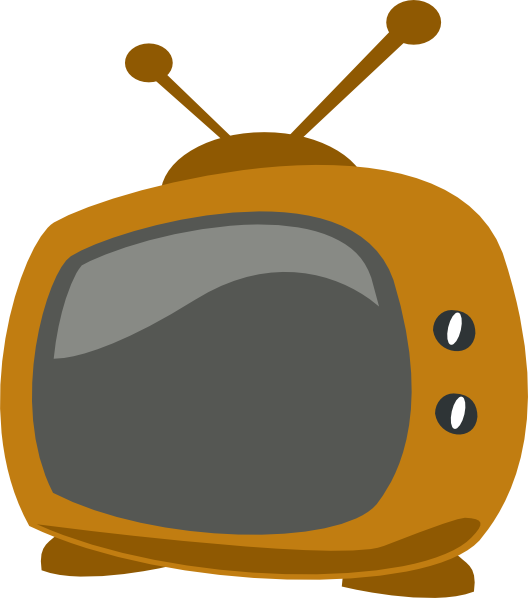 Jeff takes up with sassy and cynical reporter Arthur while in town, and quickly learns the ropes of how things work. Jimmy Stewart really defined his screen persona for all time here as a decent, solid, common sense everyman, and soon he had the whole country behind him, standing up for the little guy against the powerhouse corrupt system of Washington. He was never better (except maybe in IaWL). Claude Rains is also brilliant as the senior senator who’s been in politics for decades, and no longer remembers the people he serves. In the famous final scene, Smith stands for hours to defend himself, his state, and his ideals in the face of impossible odds, and though you know he's overpowered, you find yourself right there with him anyway, hoping against hope for a miracle. A stirring, emotional and triumphant tribute to the values we as a country supposedly stand for, and a call to arms to defend those values when they come under attack by the power of big money cynicism. You’ll want to stand up and cheer for Smith’s solidarity with the working people and unending belief in what’s right, versus the unfair and grossly magnified voice that speaks for the corporate forces of wrong. A timely message that resonates to this very day. Ah, ’76. The year of the bicentennial not only brought us Rocky, but this equally patriotic film, one that celebrates that cherished 2nd amendment virtue: freedom of the press. And the cynical 70’s was the right decade to express this ideal by bringing us the true story (in fact just 2-3 years in the past) of Woodward and Bernstein’s investigative reporting of the Watergate scandal, and the eventual takedown of the president of the United States. 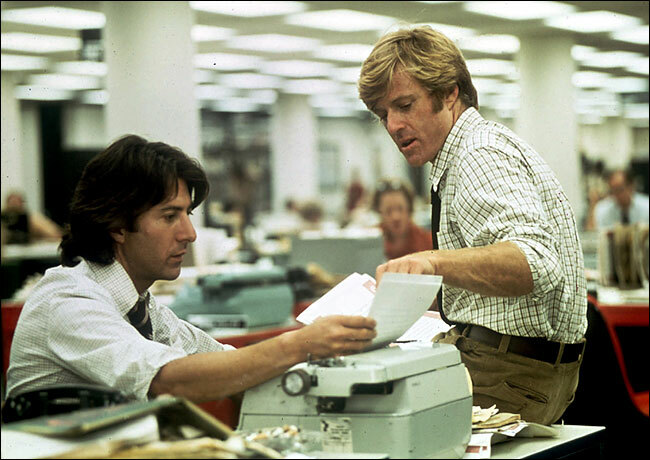 Redford and Hoffman are outstanding as the young reporters at the Washington Post, out to break their first big story, which would ultimately be the biggest of their lives. They vanish into their roles completely, as Pakula films in a docudrama style that takes us through the events as they happened, no embellishments, but plenty of details. This is one of the best movies ever made about journalism, showing you every painstaking particular "Woodstein" had to go through to confirm their story, managing to prod the truth from the deepest resources (pun intended), and eventually endangering both their lives the further they dig and learn just how far the cover up goes. It begins to unfold as a suspense thriller the closer they get, and even though you know how this all turned out you’re on the edge of your seat every step of the way, sharing along with their growing excitement. A heroic true tale that superbly displays the importance of investigative journalism as a public service, something that is sadly totally lost in today’s entrenched political and media culture. All the President’s Men reminds us of a press corps that was more patriotic because it worked for us and not them. This was another one that came out during the first year of our involvement in WWII, but it was not about the war. Rather, it was an emotional biopic about the life of Yankee first baseman Lou Gehrig, and a celebration of America’s national pastime as an example of one our shining traditions worthy of preservation. Lou Gehrig was the Iron Man of baseball and he never missed a game, representing the U.S. spirit of endurance and strength, until he had to retire due to being suddenly stricken with amyotrophic lateral sclerosis (later known as Lou Gehrig’s disease), to which he succumbed at the age of 37. Gary Cooper was Gehrig, he along with Jimmy Stewart that perfect American everyman of the movies, but in a very different way. Cooper’s persona was the strong, simple, down home country boy most of the time. You can easily see him as a cowboy or a baseball player, and a good one- most people say this was his greatest role. Gehrig’s life story was simple: he was born to immigrant parents who wanted a better life for him in America, and grew up to become one of the biggest sports heroes in the country, inspiring kids to think they too could do anything if they worked hard enough. It’s a great performance by Cooper, who fits the role like a glove. The real Lou Gehrig died shortly after the film was released, so he never got to see his famous farewell speech immortalized on film, but Cooper did him and movie history justice. It’s a tearjerker of an ending, but fitting for the core decency of the man he portrayed, who stood for the nature of an American ideal, and considered himself the luckiest man on the face of the earth. As sentimental as it is, I still love this movie, and think its emotional power holds as true today as it did when it first came out. A hugely popular film at the time, it was one of those movies that hit every note- laughter, joy and tears. Tom Hanks won his second consecutive Oscar for playing Forrest, the exceedingly simple Alabaman with an IQ of 75, who watches American history unfold around him from an objective stance. Forrest’s life takes him on a journey of America through the previous three decades, as he unknowingly witnesses or influences a lot of the key milestones along the way. You can’t help but love Forrest as Tom Hanks plays him (anybody else in this role could have been a disaster), and since he sees everything through an objective and non reactive lense, the journey he takes us on through (then) recent history is more enlightening and moving for the audience, who understand it better than he does. This movie couldn’t help but become a political lightning rod, as conservatives rallied to embrace Forrest as one of their own, arguing the movie was a lesson in the triumph of conformity and a rejection of the counterculture (Jenny the hippie suffers a doomed fate indeed), but I honestly don’t think it was intending to promote a particular agenda. You watch history go by in this movie and all it does is remind you of the incredible tumult of the previous thirty years, and how much things had changed in such a short amount of time (especially compared to previous eras). Forrest mentions the ability to put the past behind us, and this movie may have been trying to serve as a national bereavement tool for doing just that. But of course, like all great art, it's open to whatever you want to read into it. Forrest stays simple and unchanging, while the supporting characters are the more complicated, colorful ones (Gary Sinise as Lieutenant Dan, Wright as Jenny, Sally Field as Forrest’s “mama”) who go through the changes in a more human way. The movie touched a chord with the public, and identified the American spirit as forever changing and evolving, moving in all different directions at once perhaps, but always resilient in the face of life’s challenges, no matter what they include, be it death, injustice, and war. Since not seeing this film would actually constitute a cinematic crime in and of itself, I can’t take the risk and assume that everyone has. Everyone must, and that means it gets recommended until there’s not one movie lover to have overlooked it. It may be remembered as one of the great love stories, but it did come out in that banner year of ’42, and this was brilliantly disguised as a love story that served the purpose of a patriotic war message: sacrifice is everything in times like these, and if Bogie himself can nobly give up the girl for a higher cause, than everyone else can certainly do their part when it’s asked of them. Humphrey Bogart is Rick, who owns and operates the American café Rick’s in Casablanca, Morocco, the spot where refugees of every stripe are stranded en route to a U.S. destination, the place where dreams of freedom lie in wait. Nazis are constantly on the prowl, and people wait in vain for some way of transport to a better life. Rick is indifferent to everything, “sticks his neck out for nobody,” and represents American apathy to the cause that existed in the days before Pearl Harbor. Then, Ingrid Bergman walks back into his life, a fling from the past he thought he’d never see again, and he’s forced to decide whether he’ll stay stuck in his ways or finally jump back into the fight on the right side. The love story is the driving force, but all the undertones are about sacrifice, character, duty and patriotic conviction. Luckily, all the elements work together beautifully. Bogie’s last memorable and heartfelt speech to Bergman winds every theme up in one flawlessly scripted and breathtakingly romantic bow. You can’t miss this one, folks. It’s movie magic at its highest heights. An Emmy sweeping eight part miniseries produced for HBO, it was based on the biography of John Adams, our second president, who was of course one of the original founding fathers, and it covers his whole life, from the first constitutional convention through the revolution, his relationships with wife Abigail and Thomas Jefferson, his stint as VP to President Washington, his ambassadorship to France, his presidency, and finally his old age on the farm. Whew. That’s a lot of years, and Paul Giamatti has to age yes, 50 in the span of it, but he proves to be a feisty, intelligent and sprightly Adams- apparently a bit of a crotchety guy, overlooked due to his prickly personality and life under the shadow of the more appealing and dynamic Founders, like Jefferson and Benjamin Franklin. The cast was studded with A-list character actors, all of whom managed to bring the ghosts of the past to life with an authentic, living sense of history, and soon it’s thrilling to see things like George Washington inaugurated as our first President, and how the fight over the wording of the Declaration of Independence was actually resolved. Laura Linney is excellent as Adams’s better half, Tom Wilkinson funny and sly as the randy Ben Franklin, and Robert Morse looks SO like every portrait of Washington you’ve ever seen that it’s a little eerie. Stephen Dillane is a serious, contemplative Jefferson, and may be the one who succeeds the most at making his character seem like a real person in his own right, and not just a “hey, that’s Thomas Jefferson!” moment to point out (there can’t help but be a few of those in any film about this time period). It may take a few days or a week to get through, but it’s well worth your time, an exciting and fascinating look at the beginnings of our country.